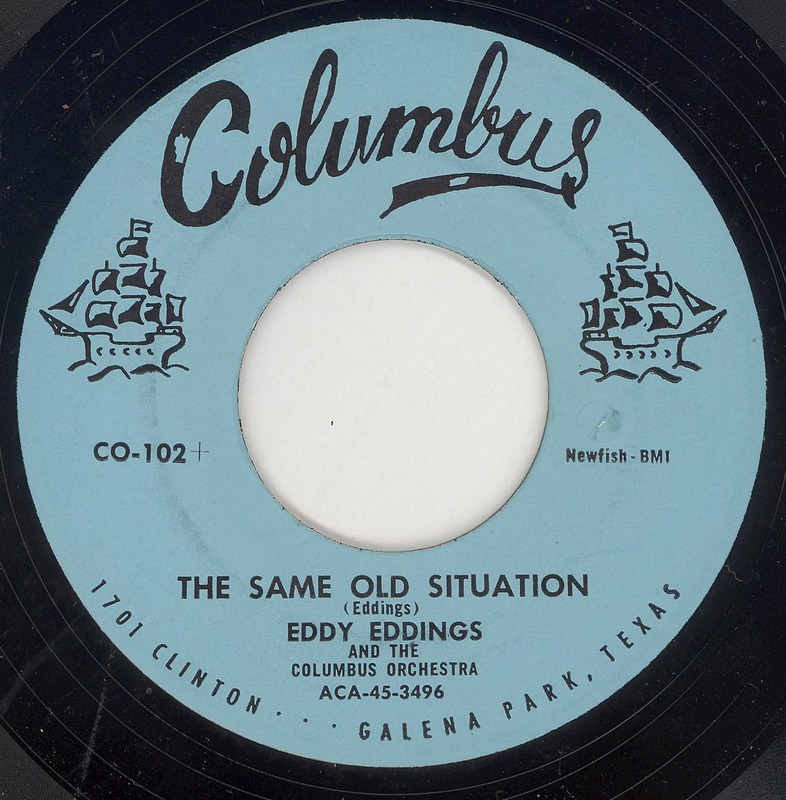 I hadn't considered posting the COLUMBUS label, it was Mellow's comment "that Eddie Eddings had replaced Darrell Newsome on drums in Sonny Fisher's band "The Rocking Boys." and that he also co-owned the Columbus label with Fisher". It was this snippet of information which prompted me to post this. I have never seen a copy of COLUMBUS 101, if there was one. Presumably the publishing, which was assigned to Newfish, was an amalgam of Newsome and Fisher. The ACA files log the client for COLUMBUS 102, as Newsome, whilst COLUMBUS 103 originally listed client as Newsome, but changed that to COLUMBUS. 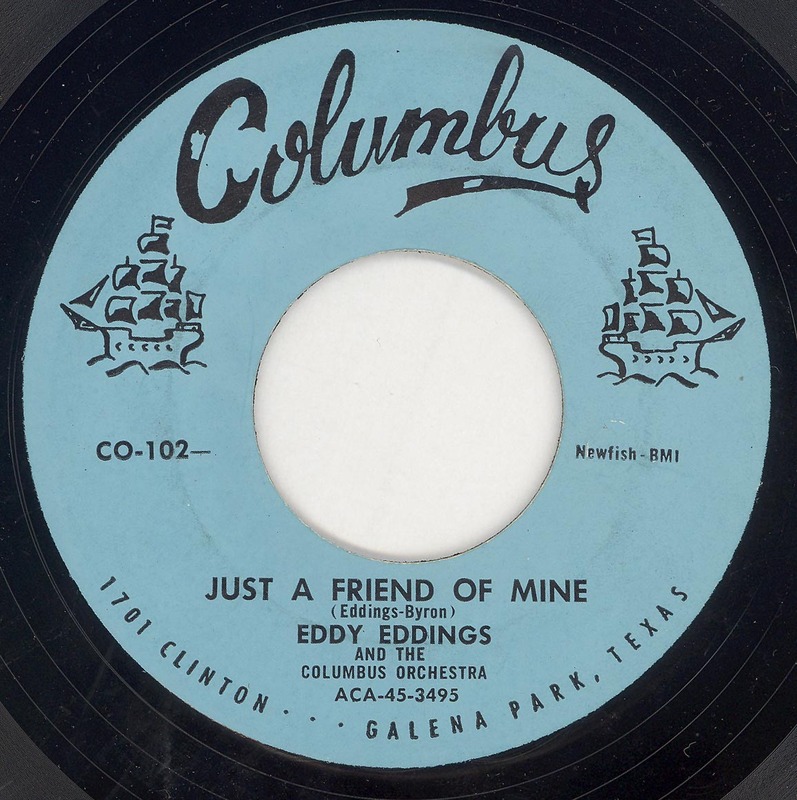 Collector CD 7761 has Eddie Eddings (Eddy) with "Farmer's Boogie" anybody know original issue? 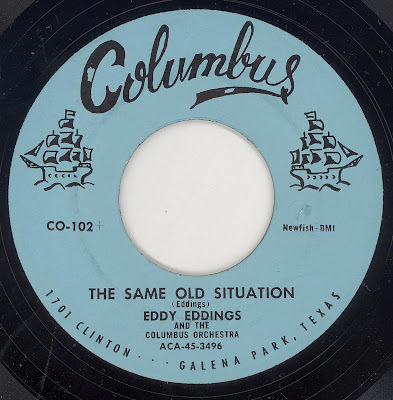 Is Tommy Moreland "Tennessee Blues on Columbus (TX) 45 - 1501 (1958) part of the same columbus label? It has a black label with the ship . "Farmer's Boogie" is a STARDAY recording, it seems to have first appeared on an eight track various artists STARDAY EP (105) "Short Country Instrumentals For DJ's". I think it also came out on a Various Artists STARDAY LP. I have no idea where the Tommy Moreland fits. or if it fits, in the scheme of things. Thanks for solving one mystery to me. I have to correct myself. Eddie Eddings was a local singer and guitarist, who replaced Joey Long (not Newsome). 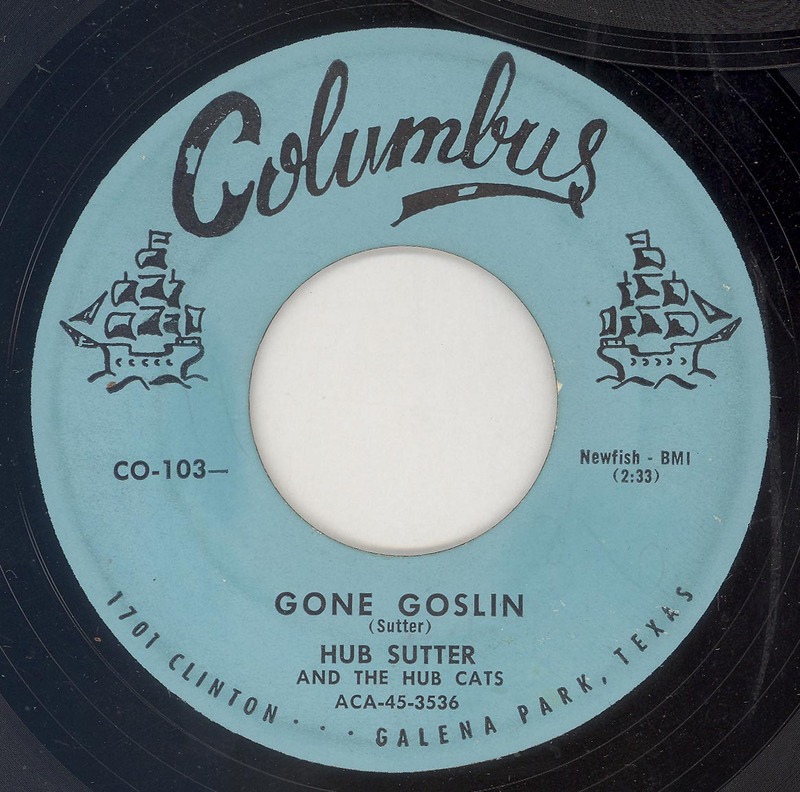 After Fisher's departure from Starday, he co-founded Columus with drummer Newsome and also set up Newfish publishing. 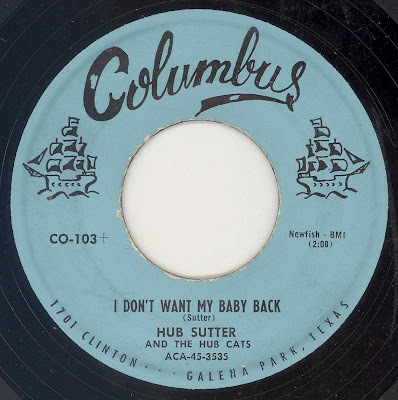 Hub Sutter, who had worked with Link Davis earlier on, played sax and Eddings' single. As far as I could find out, the Columbus Orchestra was actually the Rocking Boys (without Long) with Fisher, Eddings, and Sonny Burns on guitar (Burns also had played rhythm guitar on Fisher's last Starday single), Hub Sutter on sax, Leonard Curry on bass, and Darrell Newsome on drums. I don't know if the "Hub Cats" was the same group. After Sutter's record release, Fisher lost interest in the venture and sold his share to Newsome. It is believed Sutter's disc was the last one on the label. That's the correct story of Columbus, I think.